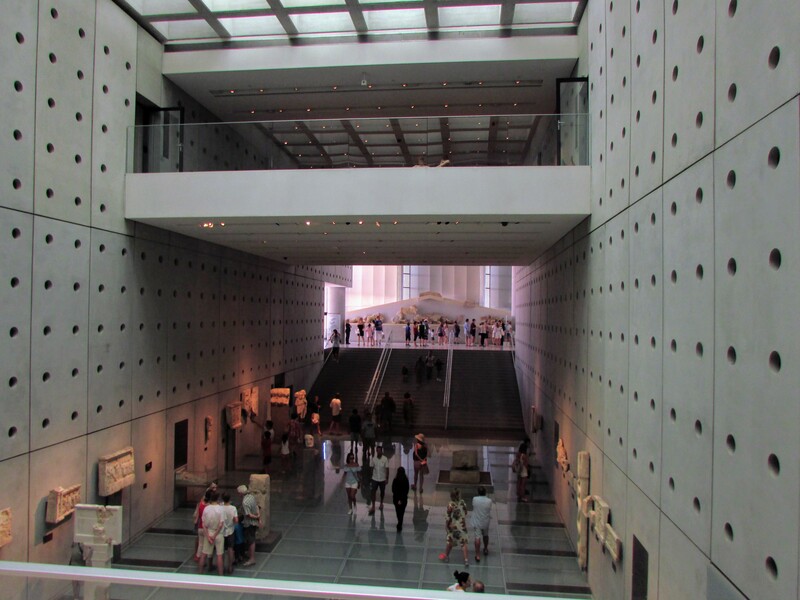 In light of the recent Labour Party candidate’s Jeremy Corbyn’s promise to return the “Elgin Marbles” to Athens, I figured I should highlight one of the best museums I’ve been to in a long time: The Acropolis Museum. It’s a bit of a strange museum in a sense. It’s built entirely to show off the fact that Greece is ready to take care of its stolen historical sculptures — including the famous friezes. This is the first museum I could see that was built entirely by (rightful) spite. I hope that Britain does return the marbles soon, the Acropolis Museum is going to be a really magnificent setting for them. I can see Britain’s reluctance though… once they start, where does it stop? What about the Rosetta Stone? I think the British Museum would still be magnificent without half the “loot of the world”, but I can see why curators would be terrified. The museum has a longer history than you would expect. 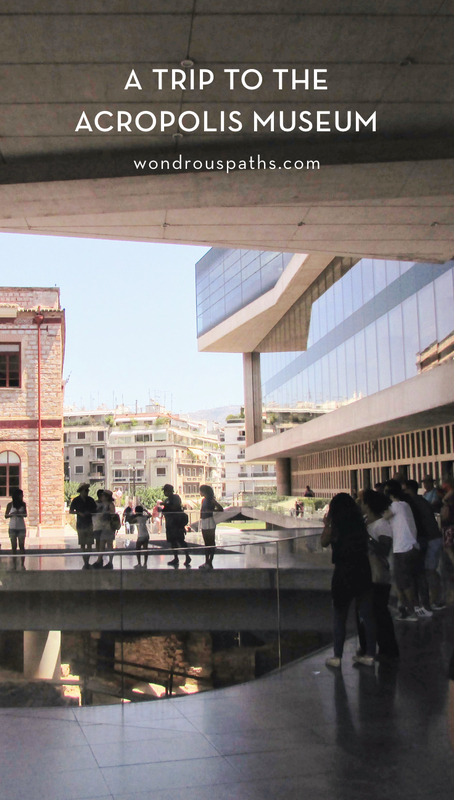 A previous Acropolis Museum existed from the 1860s to the 1970s. 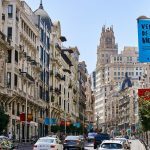 The museum became outdated and overcrowded, especially with the amount of architectural and archeological excavations that occurred next door on the Hill. 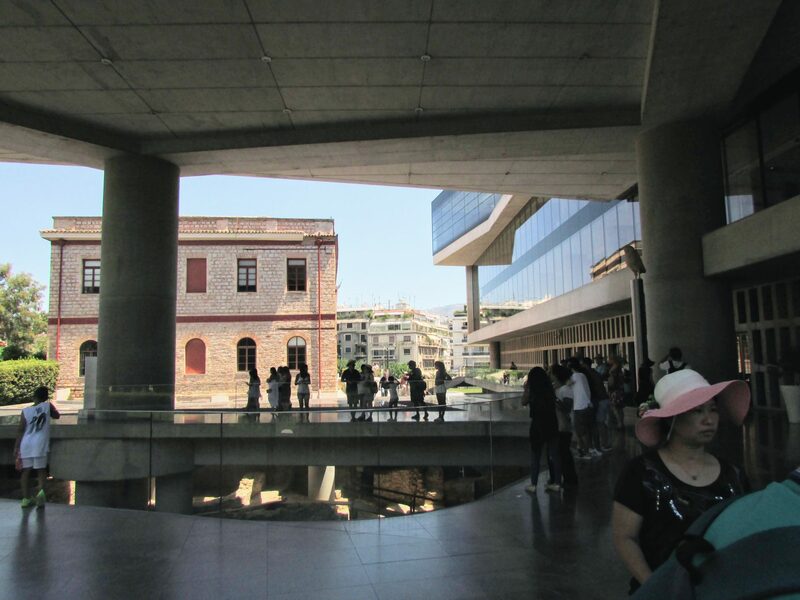 In the 1970s, a new concept for the Acropolis Museum was proposed by Constantinos Karamanlis, a place with technological capability of taking care of Greek antiquities and a place for the Parthenon Marbles to be reunited. For those who don’t know the history, Britain “bought” the Parthenon Marbles (famously called the Elgin Marbles in Britain, after Lord Elgin) from the Ottomans. 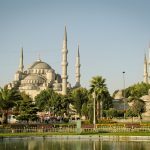 Some say that he bribed the Ottoman officials. What is known is that they were crudely sawed off of the Acropolis itself. They now live in the British Museum, with curators claiming that Greek historians aren’t capable of giving the proper preservation and care that they deserve. 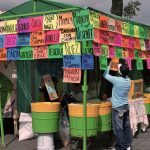 During construction, a further archeological site was discovered beneath the foundation of the new museum. 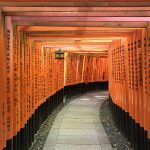 During your visit, you’ll see the brilliant solution that the architects came up with to showcase this site in a safe way for all visitors. There’s a glass floor underneath the front door, and you can literally stand above the excavation site. 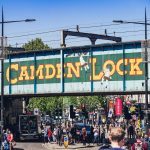 I’ve never seen anything like it! 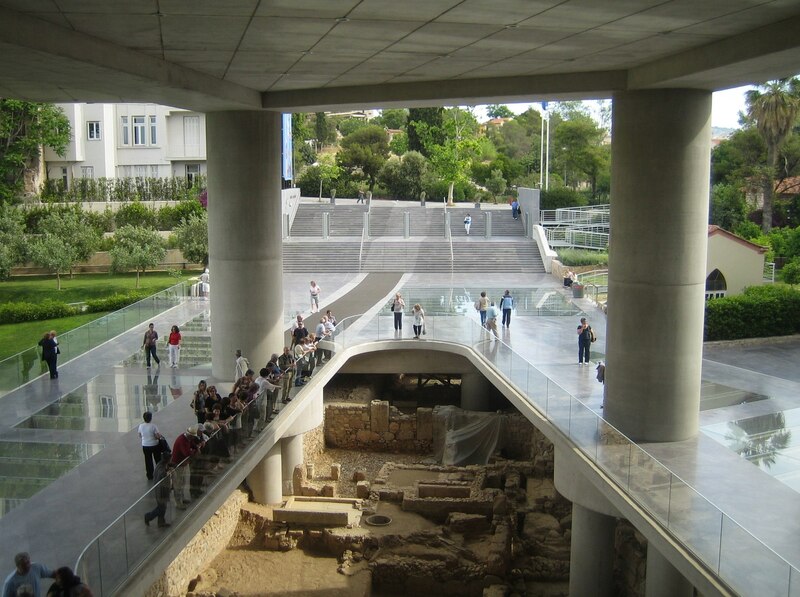 The Acropolis Museum is in the Makriyianni neighborhood, right in the southeast shadow of the Acropolis itself. You can reach it via the Anthoupoli-Elliniko line to the Acropolis subway stop, or walk along the pedestrian Dionysiou Areopagitou street and follow the signs. The museum heavily encourages people to visit via public transit, as there is no parking readily available for drivers. This is one of the few places where I would actually recommend going to the cafe for the beautiful views of the Acropolis itself. 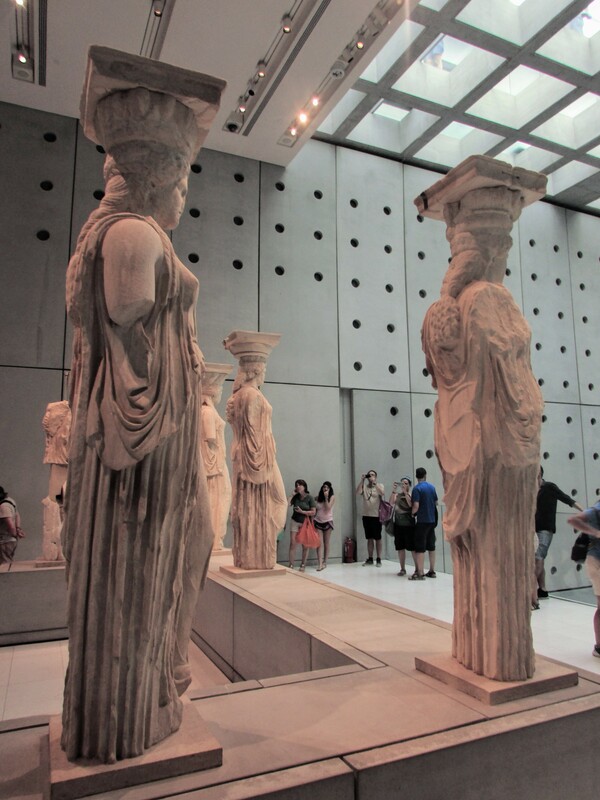 Make sure to see the Erechtheion Korai (maidens) Caryatids dedicated to Athena! Obviously, you should go to the Acropolis next! 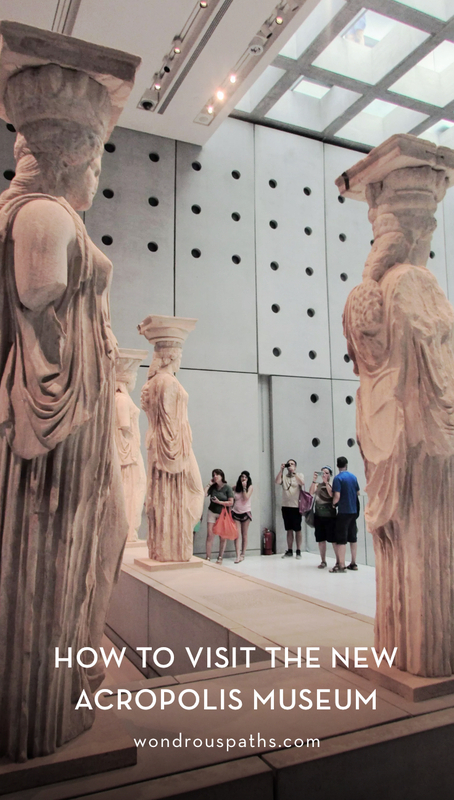 I really think it’s a great idea to start with the museum, as unless you have a guided tour, you can get a real sense of the layout of the Acropolis and the significance of the various buildings and layouts. The museum does an excellent job of explaining the function and history of each building. Tickets are very reasonable at 5 euros each for adults (for the museum only). If you’re continuing on to the Acropolis, that has separate admissions. 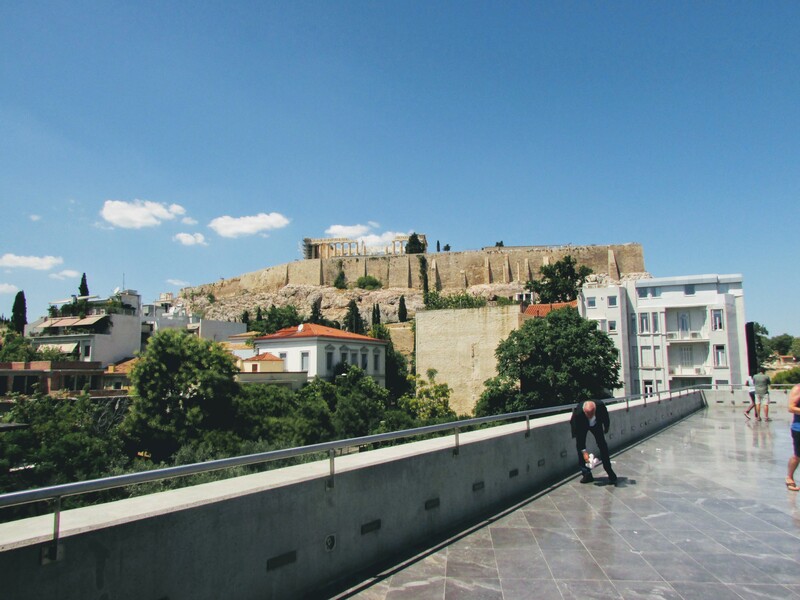 The Acropolis Museum is open daily from 8am – 8pm, and closes late on Friday at 10pm, while closing early on Mondays at 4pm. Ah I feel like I’m in the Museum, so beautiful! Thank you for sharing this.